It’s like a predictable movie plot. Big club tries to renew with quality players. Big club stumbles and falls down the table. Big club meets smaller club near bottom of the table. Can you predict the ending? Because in a game where an apparent David meets a former Goliath, the club with the slingshot almost always wins. 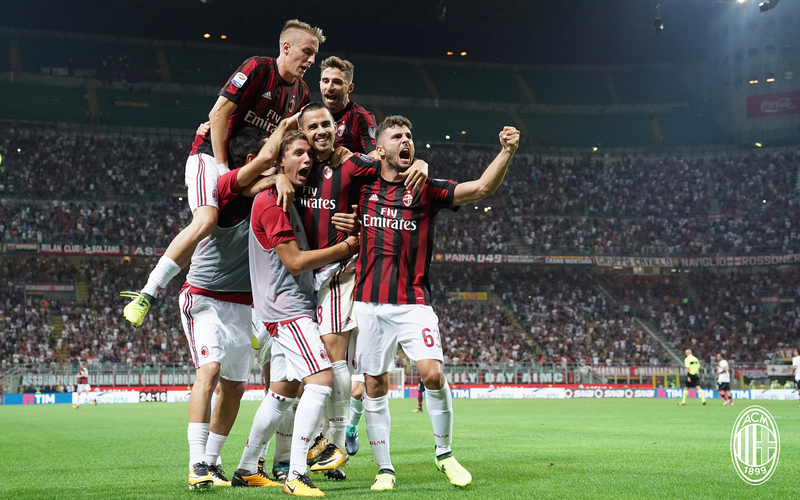 Anything is possible after a two week break, but facing off against the 16th place Cagliari right now is one of the scariest prospects for me. So get ready for disappointment, because here we go again. Milan are not the only club in this matchup to have underperformed this season. But if you watched Cagliari’s last match before the break, you might have been surprised that Juventus managed to beat them 1-0. There were a lot of questions about the reffing in that match, but no question as to how well Cagliari played at home. For that match, Diego Lopez (the coach, not the keeper) lined up: Rafael; Ceppitelli, Pisacane, Romagna, Ionita, Barella, Cigarini, Padoin, Farago, Pavoletti, and Farias. But he is likely still missing Joao Pedro to injury, the guy who scored against us at the San Siro in August. 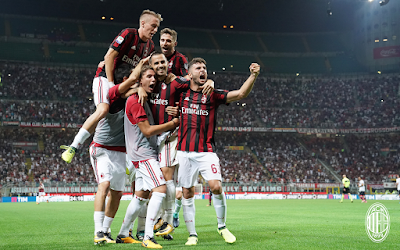 As for Milan, quite a few shots and a lucky goal against Crotone two weeks ago doesn’t exactly instill confidence for this match. Add the week or so of GPS-monitored vacation, and it’s impossible to predict how the team will react. We do have good news in that Storari and Conti are our only injuries now. And the players got to attend an event at the Diesel store last night to unveil the new “Diesel X AC Milan” line of clothes for us fans. That will get you pumped. Maybe. All in all, this match could certainly possibly go well. But all signs point to a classic Milan fail. We are flying to Sardinia, playing in their house, and they are probably hungrier for victory. 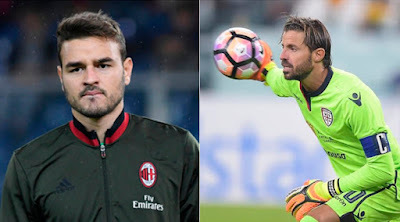 Especially after we stole their prized keeper Storari last year (who had massive issues with the owner and management,) and now we’ve snatched their favorite benched keeper, Gabriel, back from his loan, too. That’s got to hurt… us. Seriously, we have two Cagliari-reject keepers in our squad. How pathetic are we? Anyway, this match is more than likely to go the way of gli Isolani. So brace yourselves, here we go again.